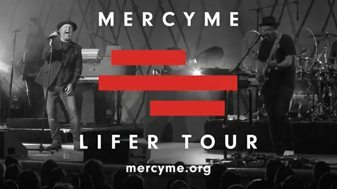 MercyMe – LIFER Tour 2017! The LIFER Tour kicks off THIS MONTH! We will be heading to New Mexico, Arizona, California, Washington, and British Columbia – don’t miss your chance to see us perform our new album ‘Lifer’ live with guests Hawk Nelson & Micah Tyler. Please please come back to Johnson City Tn. God bless each and everyone of you all. Love your music!! Not coming to the East Coast? 🙁 How about coming to Florida? I second that question! Tampa, please! I just love yall! Your music, style, and dedication to the Lord. Keep up the good work. If at all possible, I pray that yall visit Florida, possibly Live Oak, Jacksonville, or Perry. I hope to see yall soon, be safe throughout your endeavors. Are you coming to New Brunswick Canada ? Please please come to Mississippi or somewhere close. Love you music!!!! Will there be some TX dates? Or did I miss them? Love all of your music. Do not know what I would do without Mercy Me music. Wonderful concert in rain last year in Southaven, MS. God Bless you. Yes yes. Kalamazoo!!! I got my granddaughter into Christian music. She would love to go with me to see you in person! !! Please come to Providence, Rhode Island on the East Coast!!! Please come to Northern New York State…we really missed you at Worship in the Adirondacks that you canceled. Please come to Johnstown,Pa……Love your music and you guys are excellently blessed .. .Praise The Lord! East Coast!! Philadelphia? New York? New Jersey? So excited to see you live in Phoenix, AZ on 4/22. We have VIP seats. So excited to see you in Tucson again! Love the Lifer album, every song brings hope and a message. Hope you come somewhere close to kentucky! Please come to Columbia Maryland… Merryweather post pavilion!! Grand Rapids, Michigan please. We love you guys!! Nashville, TN…Music City, baby!!! Please find a date to play somewhere close to us!! We ❤️You!! Keep praising with your incredible music and talent! Lifer is too good of an album and needs to be on tour in the Southeast and for that matter, throughout the country. Have been to 4 of your concerts all over Florida and need to feel your music infinitely more. Great job preaching through the arts which touches so many. A second concert in Abq. The first one sold out on me!! The Lifer CD is fantastic– as always. I saw you in Greenville, Tx. in Feb. but that was before Lifer. Hope you come back to Dallas (or Greenville!) sometime this year. Y’all are a blessing!!! Nancy… were you friends with the Ward family in dallas may years ago? 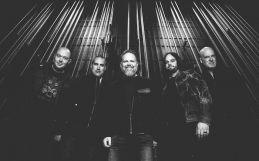 Are you playing near to winston salem or Greensboro? ???? Will you be coming to Tulsa this year? We hope you come back to Austin Texas. My kids and I love your band. We’d love to see you in Ohio PLEASE!!! Bucket list: Would love to see you in concert– We live in Montana and would prefer either Montana or OKC where we have family. Anything coming up in the near future? Come to Kalispell, Mt. Please!! Would love to see you in Texas!! Please come to Pittsburgh or Youngstown, Oh. Saw you guys at Canfield Fair; the BEST, Spirit-filled concert ever, and we were at the very top of the stands! It reached us up there! Lol! God Bless your Race! You should come to CANADA! Beautiful, open, land of Canada. Is there ANY CHANCE at all that you will return to the OREGON area this year, for the LIFER TOUR? 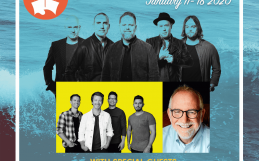 I noticed you will be in Salem, OR for a concert with other Christian Musicians… but I would prefer a LIFER tour somewhere this year in Oregon. So, will there be one this year? Thank you, very much for your testimonies, your awesome music and your humor! 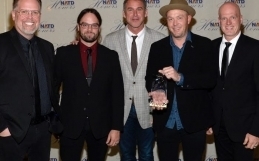 We love you, MercyMe! I will be seeing y’all on May 5th, and want to tell you how your voice and talks music helped save my life. I am so grateful to you all for your music… “Word of God Speak” stopped me in my tracks when I was searching in darkness for a glimpse of light, and “Greater” has become my childrens’ anthem, and in turn, gotten my family through, too. Would be so delighted to welcome you to West Coast of Florida! Thank you for all you do – praise God for your ministry! Why no shows in the San Francisco bay Area? back and play at the Civic Center here in Columbus, Ga. So sad that there is no stop in Oregon! Hopefully next time!!! You skip right over Oregon. Portland please! Hear you in Orlando and it was wonderful. 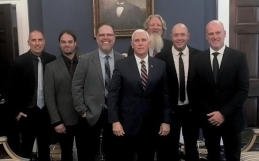 You are my favorite Christian group. Please come to Orlando. Please come to Beeville or corpus. Christi Texas. Loveyour music. I am so blessed to be going to your concert in Abbotsford in a couple weeks … I snapped up tickets back in December before Lifer was released. This is an amazing album, and as usual there are a number of songs that spoke directly to my heart right away – Even If and Heaven’s Here among them. Thank-you for continuing to make music that draws listeners into the circle of God’s mercy, grace and love. Got a t-shirt idea! Why don’t y’all make a shirt that says “WE WIN!” ? ?